Rohingya Muslims flee to Bangladesh . . .
Photojournalism: A group of Rohingya’s crosses a channel of Nuf river as they enter Bangladesh near the Bangladesh-Myanmar border in Teknaf, Bangladesh, 06 September 2017. At least 123,000 Rohingyas have crossed the border into Bangladesh fleeing violence in northeastern Myanmar, a United Nations High Commissioner for Refugees (UNHCR) spokesperson said. 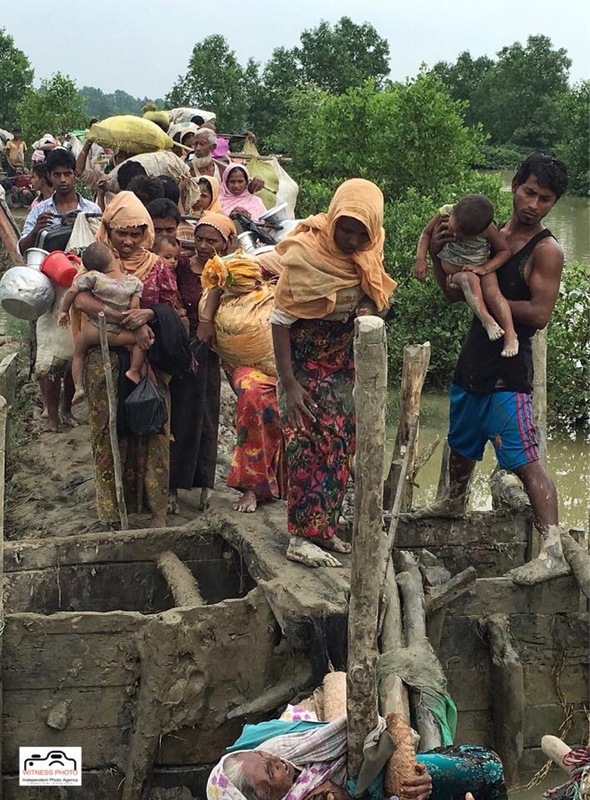 According to UN sources only 6000 – out of the 123,000 – are staying with family members in refugee camps in the Cox’s Bazar district. WITNESS PHOTO . . . The feeling Rohingya Refuses . . .